The Tradewinds Hotel represents quality and value Fremantle accommodation. Situated on the picturesque Swan River, The Tradewinds Hotel is an iconic venue in East Fremantle, a short thirty minutes from the Perth CBD and a stone’s throw from the vibrant streets of Fremantle. 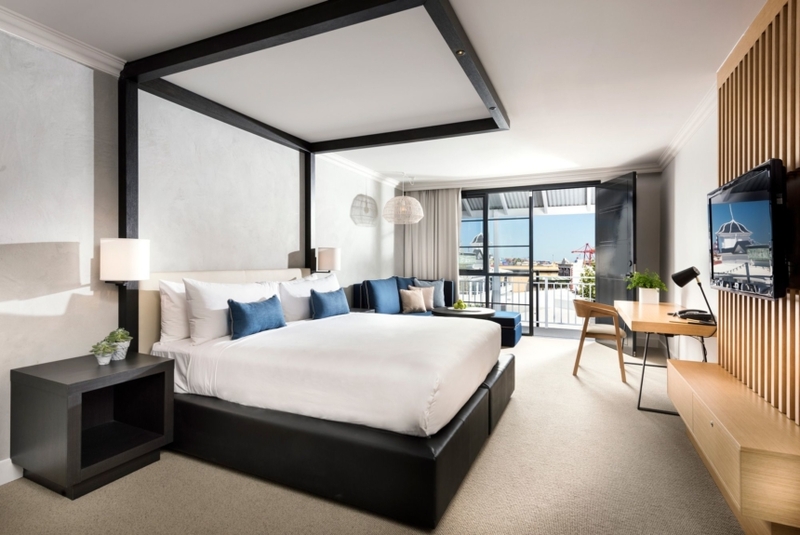 The Tradewinds Hotel is a convenient four minute drive to Fremantle Train Station connecting visitors to Perth's new and exciting Entertainment Precinct and the Perth Arena and Optus Stadium. The Studio Room is a stylish and spacious room to relax and unwind. Featuring a king size bed, ensuite with rain shower and modern, stylish amenities. Interconnecting rooms are subject to availability within this room type. 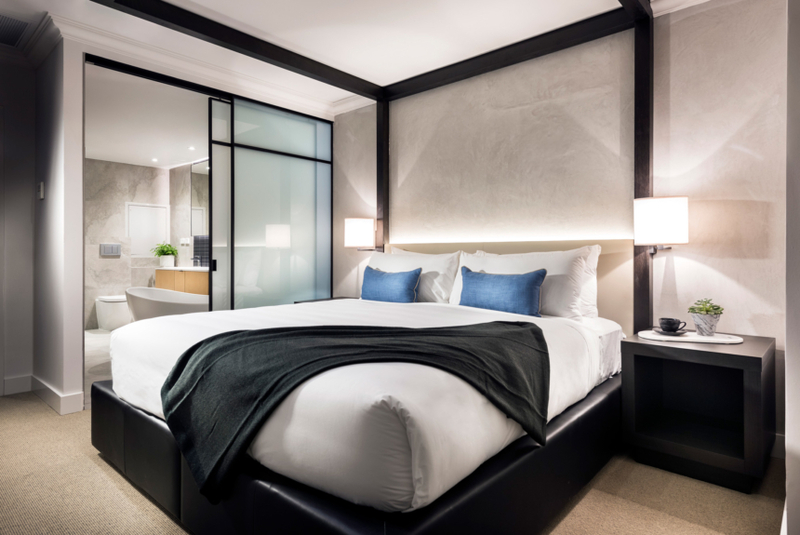 The beautifully styled Superior Rooms are spacious and functional making the 42 square metre room a private oasis for rest and rejuvenation. All Superior Rooms feature a king size bed and a modern, functional ensuite with rain shower and stylish amenities. The Deluxe Apartment is 40-46 square metres of modern sophistication and serious relaxation. With a king size bed and a king single, these rooms accommodate up to three guests. The perfect choice for families or groups, the Two Bedroom Apartment can accommodate up to five guests (four adults and one child). The spacious apartments feature a master bedroom with king size bed and a second bedroom furnished with two king singles. The stunning River Suites enjoy panoramic river views and offer some of the most luxurious accommodation in Fremantle. The 50 square metre suites feature a magnificent free-standing bath and a separate living and dining area. Looking for a light bite or something more substantial? Join us at the Tradewinds Restaurant and Bar on the banks of the Swan River and sample our fresh, seasonal fare day or night. Head out to the alfresco courtyard to grab an espresso coffee or enjoy a hand-picked beer or wine and take in the spectacular view. 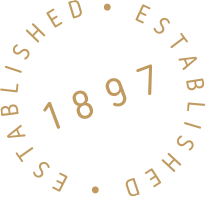 The Tradewinds Hotel is an icon among hotels in Fremantle, offering luxury accommodation, modern and sophisticated amenities and outstanding service, all under-pinned by a sense of heritage and tradition. 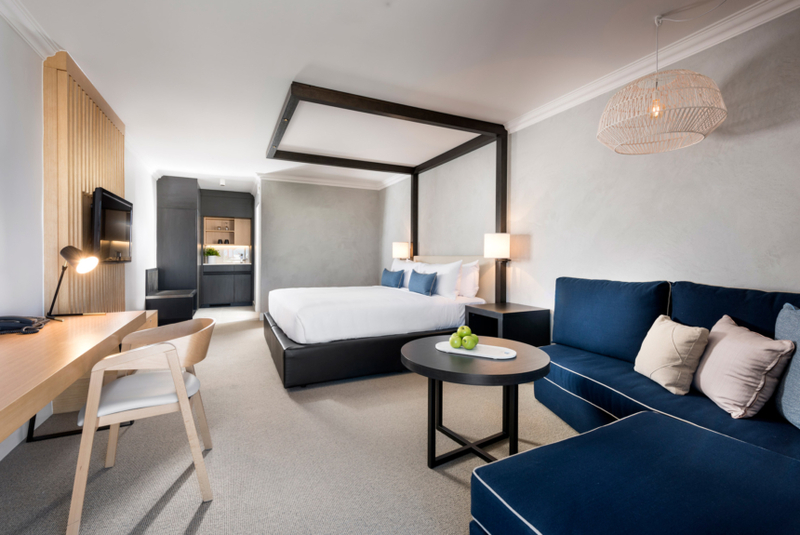 One of the original hotels in Fremantle, the Tradewinds Hotel has been given a modern refurbishment, offering travellers of all kinds luxury accommodation in Perth. 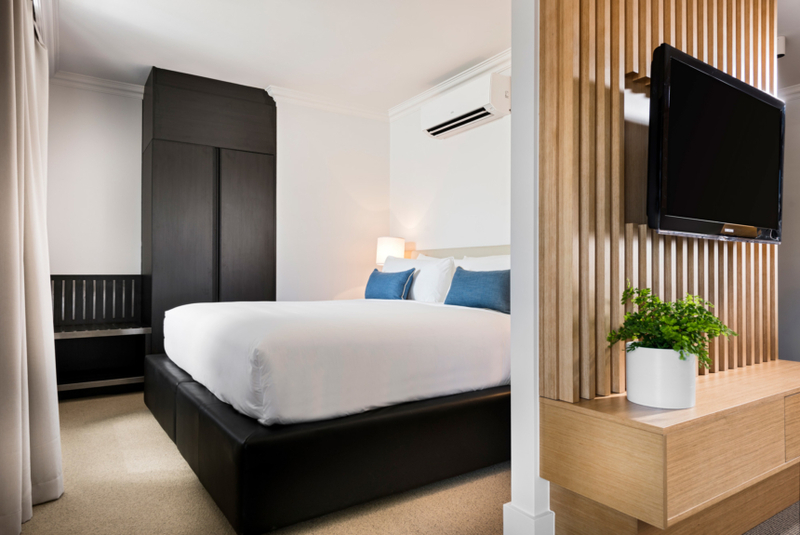 Whether you’re seeking accommodation in Fremantle for business travel, or you’re a holiday-maker exploring Perth, Tradewinds has accommodation to meet your every need. 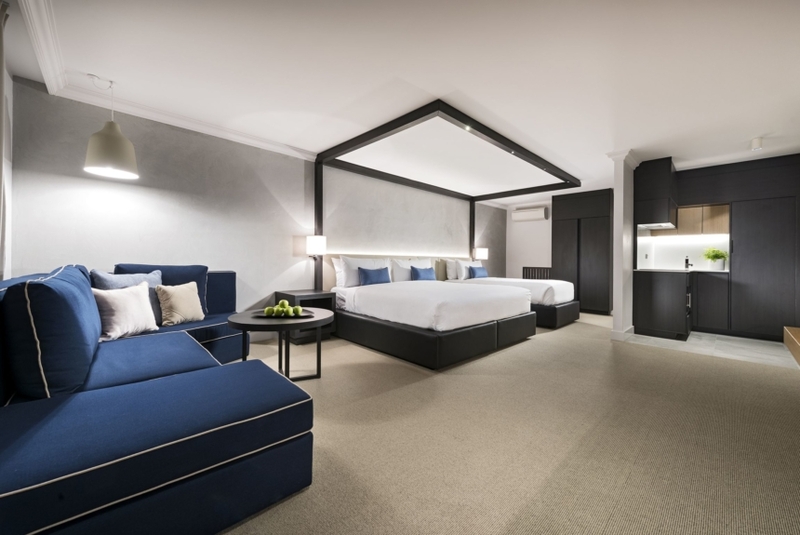 Tradewinds Hotel offers a range of packages to suit a wide range of guests, from solo travellers seeking a single night’s accommodation in Fremantle, to couples sharing a romantic weekend in Perth and families looking treat the kids to a night in a luxury hotel. 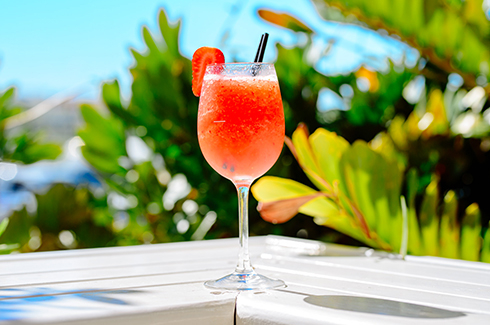 Not only are the rooms and apartments spacious and stylishly appointed, you will also find some truly delicious food and beverage options at the Tradewinds Hotel. Where better to kick-back with friends and family or catch up with a business associate than on the banks of the Swan River? 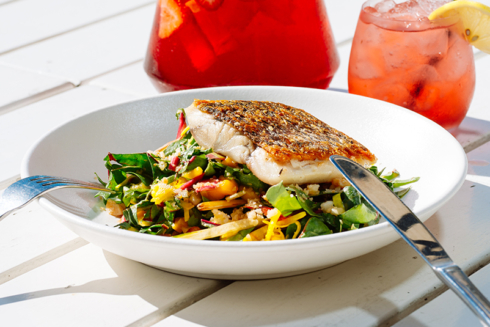 The Tradewinds Bar & Bistro offers menus showcasing fresh, regional produce prepared with love and care. Our alfresco courtyard is perfect day or night, pouring espresso coffee and serving up delicious, seasonal fare teamed with hand-picked beer and wine. Feel like taking in the 360 degree views of Fremantle and the Swan River from a higher vantage point? Then head up to the Rooftop Terrace, grab yourself a cocktail and settle in for a jaw dropping sunset. Recently refurbished and stylishly appointed, the Rooftop Terrace is our premier wedding venue, an ideal corporate functions space and our go to spot for a quick drink to take in the view. With an unrivalled view of the stunning Swan River, this unique location can accommodate up to 220 guests to celebrate with you as you say ‘I do’. Just because you’re taking a break in stunning Freo doesn’t mean you have to put your fitness and lifestyle goals on hold. Our new, state-of-the-art fitness means you’ll never have to skip a workout. Prefer to hit the pool? Pack your togs and take a refreshing dip in our tranquil pool from 7am-7pm daily. 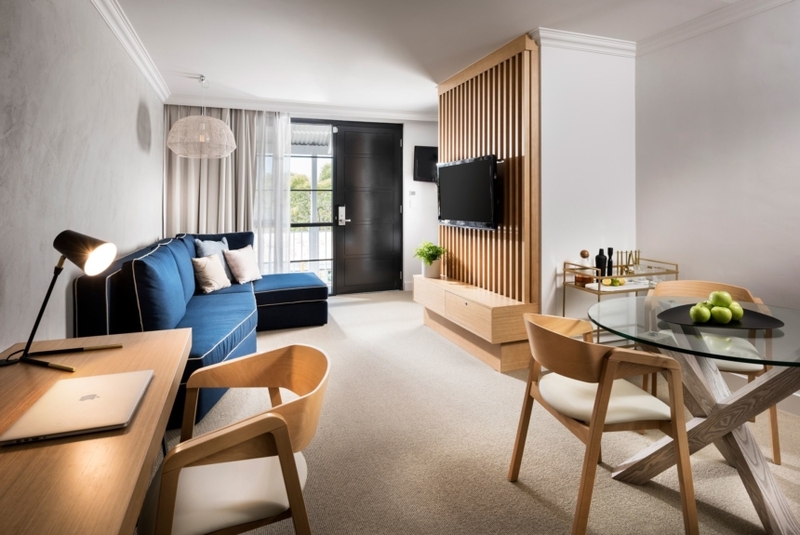 Conveniently located a short 30-minute drive to the Perth CBD and mere moments from the heart of Fremantle, the Tradewinds hotel is ideally positioned for business and leisure. Organising a work conference and need to arrange accommodation in Fremantle? Simply get in touch with our friendly staff and we can assist you on both counts, with great deals offered to conference organisers! Tradewinds Hotel offers a wide-range of rooms and spaces to suit any conference or function. Work with our experienced to staff to plan, manage and execute a successful event in Fremantle, with accommodation on site.